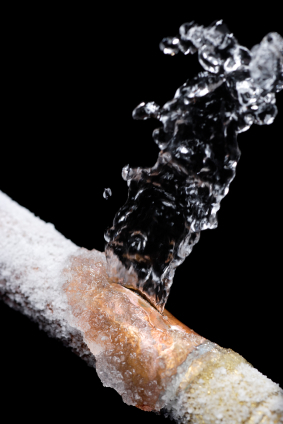 When we think of broken or frozen pipes, water damage doesn't always come to mind. 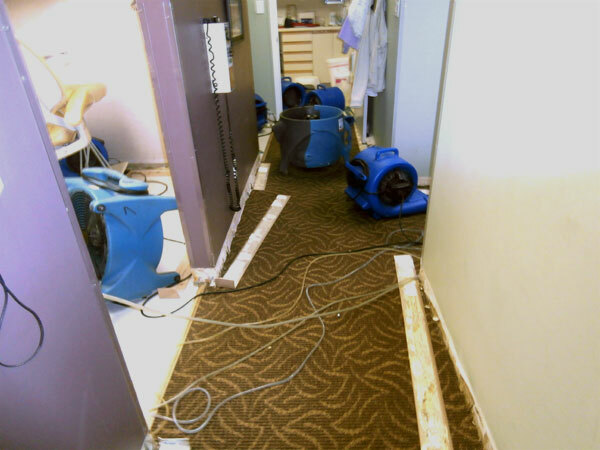 In reality, broken/frozen pipes can cause just as much water damage as a flood can if not treated immediately. When a pipe breaks, water can gush in like an opened gate and turn your home or business into a small lake within minutes. The most damage occurs when you are away from home. This is because the water is left unnoticed or unattended to fill and sit in your house for hours, and sometimes days on end. There are a few things that can be done to help prevent a broken or frozen pipe from completely busting. The first thing is to get an certified inspection of your current piping system to ensure that it is in good condition. Here are a few tips of what you can do next. In the winter, set the thermostat at a minimum of 55 degrees even when no one is going to be at the property. Insulate any exposed or exterior pipes such as; in a basement or crawlspace, inside exterior walls or in an attic. Disconnect any outside hose connections and drain water leading to outside faucets. In the event of a break, know how and where to turn off the water supply. In the unfortunate event that a pipe does break in your home or business, first shut off the water supply or call someone to do it for you. If you are unable to shut the water supply off then call Floodmasters as soon as possible so we can quickly shut the water off for you and start the clean-up and restoration process to get your home repaired and back to normal.